Recently, there was a rule set by OSHA that made it mandatory for employers to report any accident that results in one of their employees losing an eye. Losing an eye? That doesn’t usually happen at work. Actually, thousands of workers become blind in one or both eyes because of eye injuries at work. There are other eye injuries that can occur at work. Thousands of eye injuries occur every year in the United States. Some of those eye injuries are not as serious as others, but any type of eye injury raises some type of concern. Serious or not so serious, the majority of eye injuries can be prevented when wearing proper non-prescription or prescription safety glasses. Most eye injuries that happened in the workplace were caused by objects that were flown around or objects that fell. Worker’s eyes were injured because most of the objects were so small. Small objects are so much easier to cause damage to the eyes because you cannot see them, and it is more difficult to get those things out of your eyes. This is why it is so important for every workplace to address any concerns they may have regarding hazards. If it is determined that the eyewear that has been used previously is not efficient for the workplace, the eye protection should be changed. 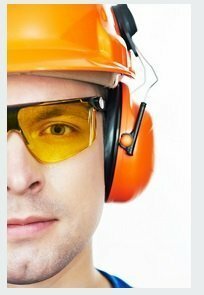 There is a variety of safety eyewear on the market, from safety goggles, safety glasses, shields, etc. All of these come in a variety of styles and they can all be used in different situations. People typically wear safety glasses to protect their eyes from flying debris and other flying objects. You will find that some safety glasses look relatively close to the traditional glasses that some people wear. There are also safety glasses that are made differently because they have extra protection on the sides of the eyes and the sides of the face. When a worker wears safety glasses with eye protection on the side, the chances of any objects getting into the eyes will be lessened. Some workers may prefer safety glasses that have a shaded lens tint, and these are available. 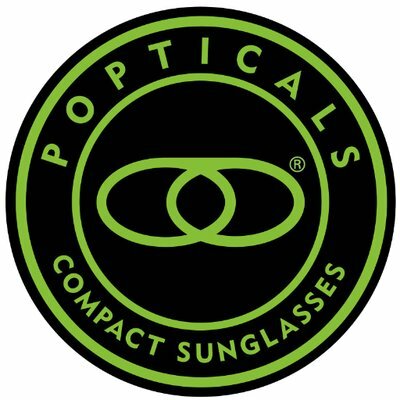 Shaded lenses are great for the workers who are constantly working in the sun. 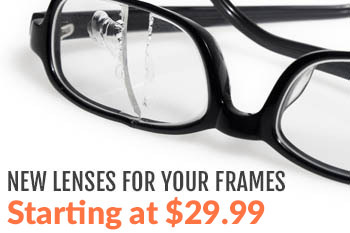 As mentioned earlier, prescription lenses are also available for those who are required to wear safety glasses. Safety glasses need to be properly fitted in order for them to be effective. Safety glasses cannot be handed out to everyone and expect all of them to fit everyone perfectly. If workers try on different safety glasses and find big gaps around the entire pair of glasses, they should not be worn. Workers should be able to look at other safety glasses. Sometimes workers need a little extra comfort, so they look for safety glasses that come with straps so they can adjust the safety glasses to their liking. Every worker needs their eyewear to be comfortable. We all know that an injury can happen to anyone and it can happen at any time. Thousands of eye injuries occur at the workplace on a yearly basis because workers are not equipped with the eyewear they need. It is important for all employers to make sure all their employees have the right eye protection. If you are looking for eye protection for a workplace or for your individual needs, do not hesitate to contact us to find out what we can do for you.